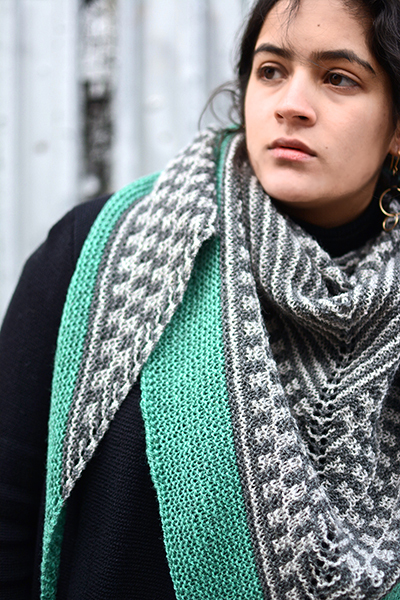 New Shawl and New Ramble: Atlantic Avenue by Kirsten Kapur! 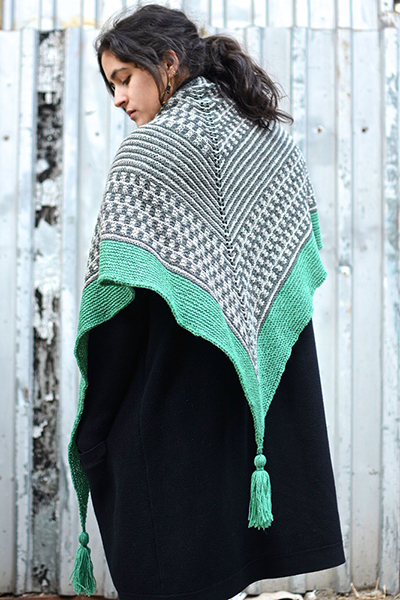 - Kettle Yarn Co.
New Shawl and New Ramble: Atlantic Avenue by Kirsten Kapur! 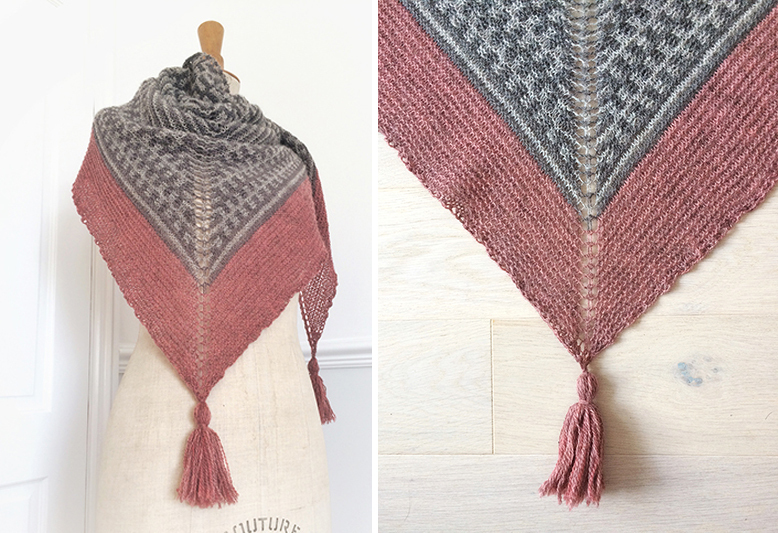 I am so pleased to be able to introduce a new shawl from across the pond this week! Atlantic Avenue is worked in small batch British Ramble. Perfect for this hap-like shawl, Ramble melds the softest grades of traditional fibres into a delicately lightweight, springy yarn. Kirsten chose Nightshade and Meadowsweet with a contrast of zingy green Burdock for her gorgeous sample and included slipped stitches, stripes, and tassels in this addictive knit. Clockwise from top left: Damson, Sloe, Meadowsweet, Gorse, Heather, Hawthorne, Burdock and Nightshade. There is a new Ramble shade this week you could use this week for the contrast edging, a glorious purple called Damson! Here is a little animation to give you an idea of what the different hues would look like. I chose Hawthorne for this generous blanket of a shawl. I can’t seem to get enough of the warm pink-red right now. 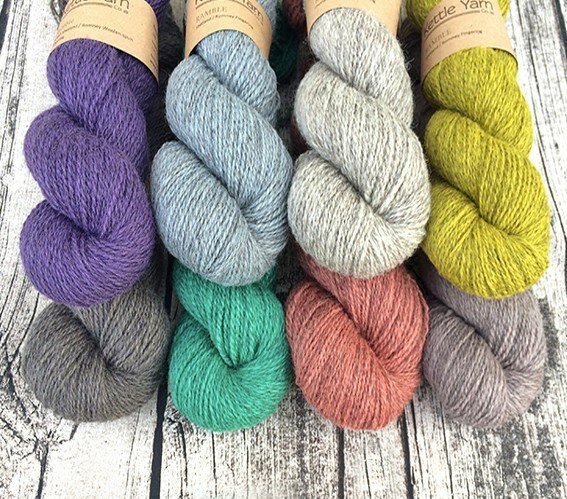 Drawing on a centuries-rich history of sheep rearing and wool production from the Shetland Isles and England’s smugglers paradise, Romney Marshes, this Romney / Shetland yarn is lightly processed, then woolen spun into a heathered, sheepy cloud. Varying slightly from batch to batch as it comes from smaller flocks, this yarn has limited stock of each run and will only be available periodically throughout the year as stocks last. As a heads up, I am running a bit low after the holidays and only have a few bags of each colour left in shop and will only have a small amount at Unravel. Find Atlantic Avenue in Kirsten’s Ravelry shop along with a fantastic special offer in her Ravelry store. Buy any two single patterns and get a third free. Use coupon code JANUARY. 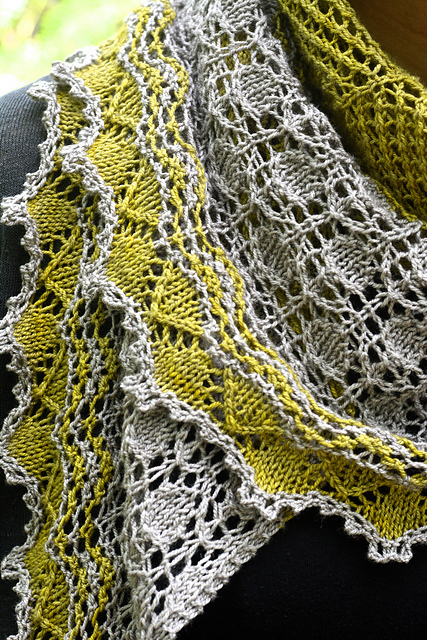 Offer ends Feb 6th, so head over there now and get some stunning designs, like Kirsten’s Beyul Thistle Rambles shawl!